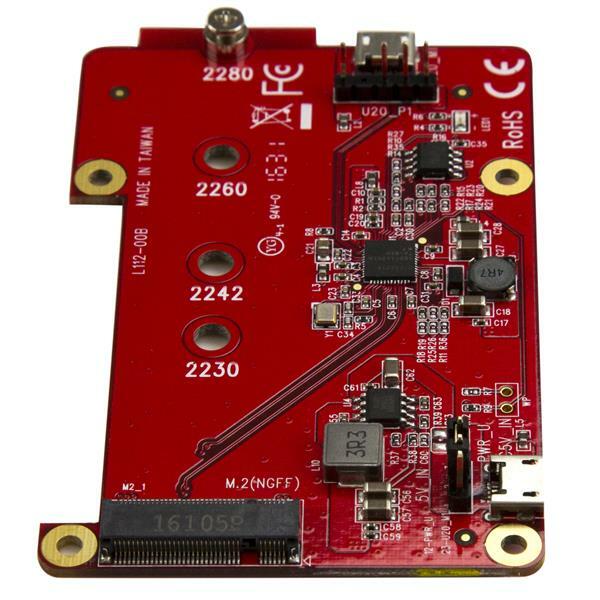 Increase the data storage capacity of your Raspberry Pi or other development board, by connecting it directly to an M.2 NGFF SATA SSD. 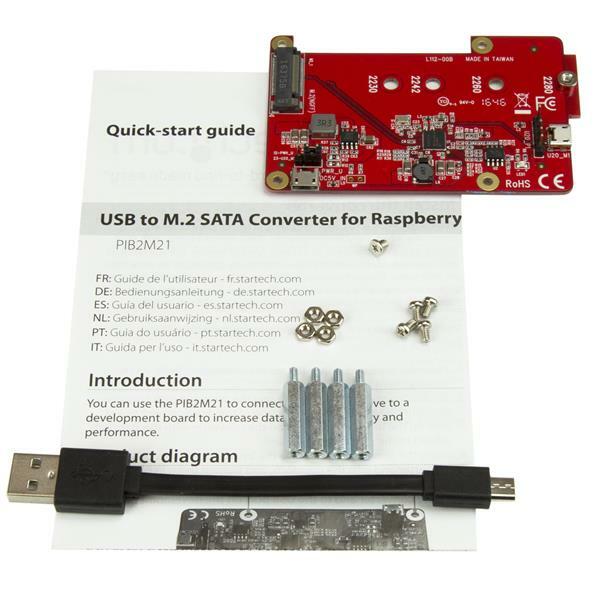 Perfect for custom projects and applications, this USB to M.2 SATA converter supports all models of Raspberry Pi as well as other development boards. 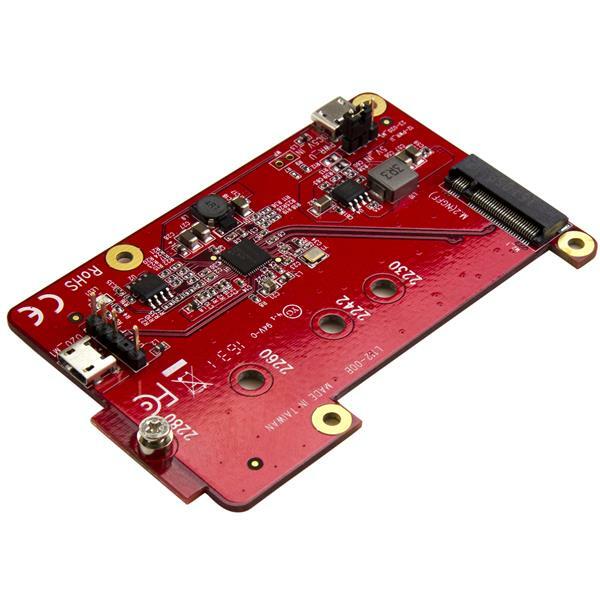 This convenient USB 2.0 to M.2 SATA converter lets you overcome data storage limitations of your development board by enabling you to connect an M.2 SATA drive through your board’s USB-A port. 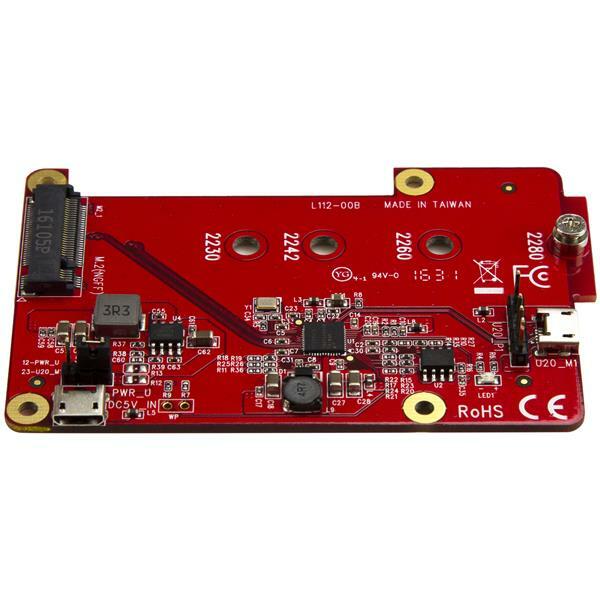 The USB to M.2 SATA converter integrates seamlessly with your existing development board. It’s the perfect addition for development-board based applications such as surveillance, media players and servers, digital signage and IoT/automation solutions. 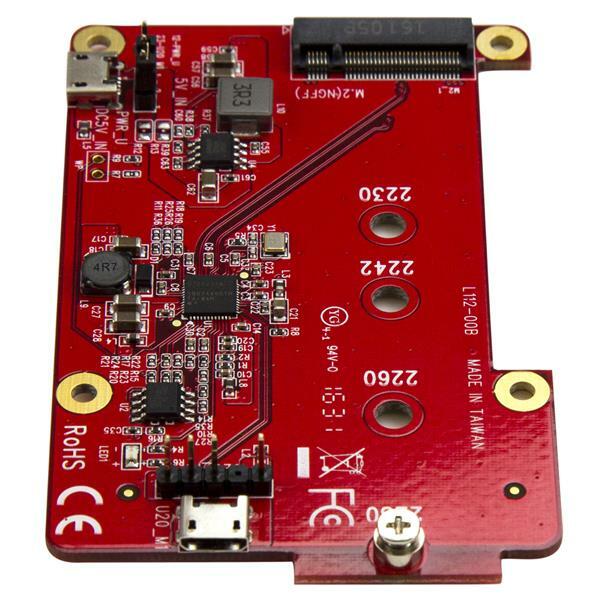 It enables you to utilize your M.2 SATA drives with your dev board, and take advantage of the small form factor of M.2 SATA which makes it ideal for applications with space limitations. Compatible with M.2 SATA drives (2230, 2242, 2260, and 2280), the converter is easy to install and doesn’t require any device driver installation. It comes with a USB cable and all mounting accessories, including standoffs, so integrating it with your Raspberry Pi is fast and easy. StarTech.com provides industry-leading support to get you up and running quickly. The PIB2M21 is backed by a StarTech.com 2-year warranty and free lifetime technical support. This converter works with M.2 SATA SSDs only. To see which type of M.2 drive you have, simply look at the number of notches (or keys) on the drive end that connects with the M.2 socket. SATA-based M.2 drives have two notches (an M key and a B key), while PCIe-based M.2 drives have just one notch (an M key).